Legalization for All Network at U.S. Social Forum | Fight Back! San Jose, CA - More than 30 people gathered at the First Unitarian Church here, June 27, to participate in the Legalization for All Network (L4A Network) workshop. The workshop was one of many that took place at the U.S. Social Forum. Before the workshop, members of the L4A Network attended a solidarity rally for Driscoll's berries farmworker strikers. Holding signs and chanting in front of the Costco store in San Jose, over 40 activists pushed Costco to meet the demands of the farmworkers. The demands include: stopping the abuse against workers, higher wages and legal benefits. A group of five protesters brought out Costco membership cards and notified the Costco staff they would be destroying their cards if Costco's management did not address the farmworkers’ demands. "The cops at this point, walked in and attempted to intimidate us. But in the end, the list of demands from the Driscoll's berries farmworkers was received by the management of the store," said Patrick Morales, a longtime activist is from Arizona. 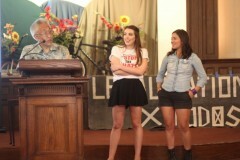 After the rally, the L4A Network began setting up inside of the First Unitarian Church. In the audience were activists, teachers, students and community members from around the country. One of the presenters at the Legalization for All Network workshop titled, "Perspectives on the Immigrant Rights Movement" was Maria Belen Sisa of Phoenix, Arizona. Sisa talked about the work she is doing with her organization, the Arizona Dream Act Coalition (ADAC). "It was great to be able to share with others, not only the injustices we face in Arizona, but reach everyone on a more personal level through my own story, the risks we are willing to take, and how having to fight for basic rights - like education and drivers licenses continues to be an source of insecurity in our lives. Overall, I hope everyone was left with inspiration to keep fighting because the battle does not end here for immigrant liberation,” said Sisa. 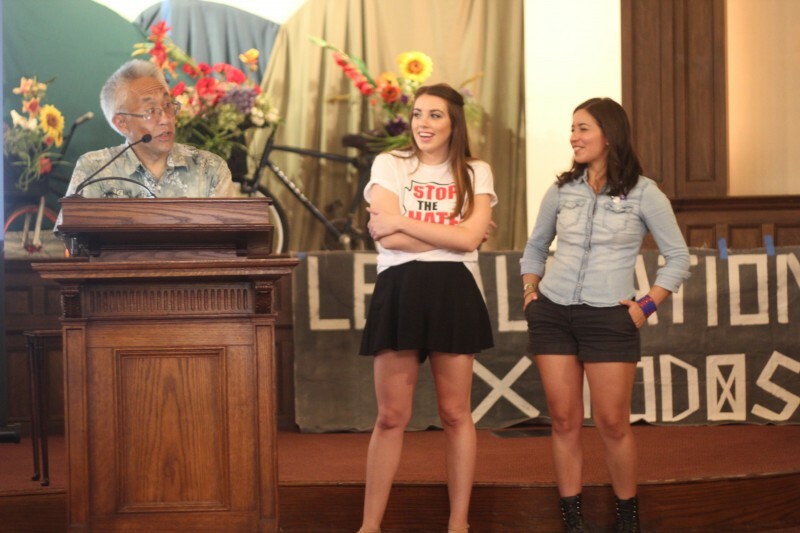 The other two presenters were Masao Suzuki, who is an economics professor at Skyline College and Sol Márquez, who is from Tampa, Florida, a member of Raíces en Tampa and Freedom Road Socialist Organization (FRSO). "I felt really inspired by seeing the work that FRSO has been doing. I wanted to bring it home and apply it to the groups that I'm part of," said Adrian Romero, who traveled from Salt Lake City, Utah and who is a member of Revolutionary Students Union and Familia: TQLM/Stand For Queer Lives.